From auto repair and parts to new and used Subaru cars, if you live in the Valley of the Sun we're proud to be your top resource for all things automotive. We have the models you've been searching for, including the popular 2019 and 2020 Forester, Impreza, Outback, WRX and other favorites, and they're all available at great prices that we're sure you'll find appealing. Our helpful sales staff, Subaru-trained auto technicians and numerous automotive certifications make us a leading Subaru dealer in Phoenix, but shoppers come to us from all over Maricopa County because of our strong reputation for treating customers right. Just envision taking home one of our stylish and sporty new Subaru cars by this afternoon! At our Subaru dealership in Phoenix this could be your reality. We have some of the most competitively priced vehicles in the Valley and can help get into the car or SUV of your choosing in no time flat. We have a large stock of new 2019 and 2020 models, which you can learn all about on our Subaru reviews and car comparisons page. While we consider all of our new Subaru cars in Phoenix to be your top picks, we also strongly encourage comparison shopping and are so confident in our lineup that we include third-party provided car comparison pages right on the website so you feel comfortable with your next purchase and with the Subaru brand. Our Phoenix Subaru dealership also caters to those looking for low-mileage used cars. We have a large selection of Certified Pre-Owned Subarus, as well as pre-inspected vehicles from other well-known vehicle manufacturers. Whether you're interested in finding a gently used SUV, convertible, coupe or sedan, our associates can track down what you're looking for. Visit soon to browse used Subaru cars in Phoenix and find out how our finance department can assist you in getting a great payment plan that fits your budget. The financial experts at Camelback Subaru are here to answer your questions about car loans, leases, interest rates, loan terms and programs for individuals with no or bad credit. If you're on the hunt for a reputable auto repair shop where you can get oil changes at a reasonable price or receive trusted work from Subaru-vetted mechanics when it comes to a more complex service, Camelback Subaru is also here to take care of your needs. We offer auto repair in Phoenix to drivers with vehicles of all makes and models, and Subaru owners specifically can rest assured that their beloved vehicles are in capable hands. If you really want to make sure your car is treated well, you should choose a Subaru dealer in Phoenix where OEM parts are used and factory-trained technicians are available - we offer both! At Camelback Subaru, our objective is to build relationships and gain customers for life by consistently providing first-class service and a top selection of award-winning cars. By combining excellent customer care, competitive prices and knowledgeable employees, we've become one of the highest rated Subaru dealers in Phoenix, and we're proud to be known among Gilbert, Glendale, Tempe, Mesa and Scottsdale Subaru drivers as well. 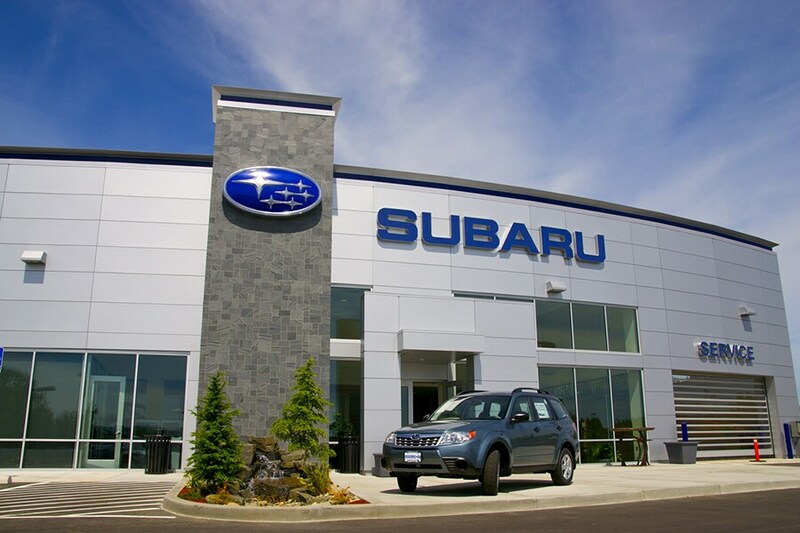 We happily serve Subaru owners and shoppers all across the county and invite you to come see why we're their top choice among local auto retailers!